The old Turkmen banknotes will be legal tender through the end of the year. Turkmenistan has redenominated its national currency, the manat, cutting off three zeroes while also removing the image of its autocratic former leader, Saparmurat Niyazov, from all coins and all but one banknote. The government says the procedure will strengthen the manat and promote foreign investment. Some Turkmen, however, are anxious about the move, saying any currency change will create more uncertainties in markets and could drive prices up. Turkmenistan's central bank officially entered the redenominated manats into circulation on January 1. 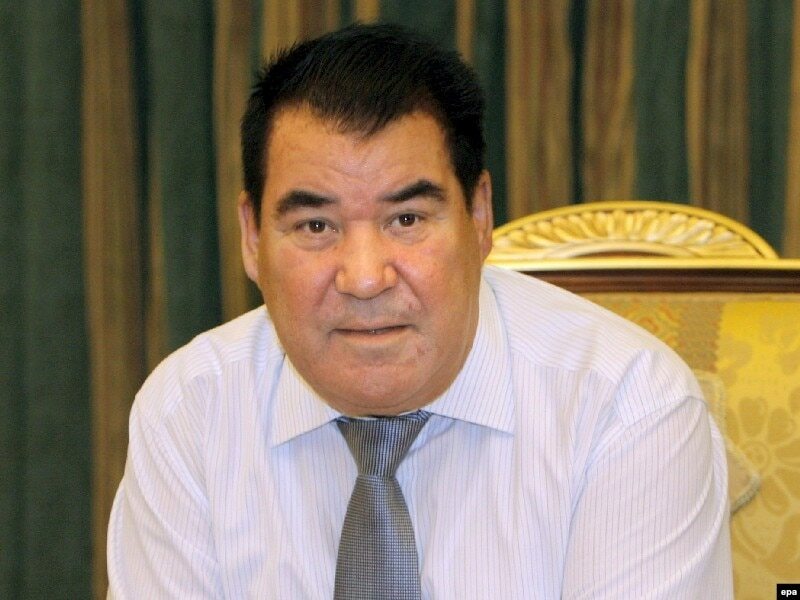 President Gurbanguly Berdymukhammedov, speaking on national television, sought to assure his people that, unlike the old currency, the new manats will have a stable value. "Our stable and powerful economy guarantees it," Berdymukhammedov said. Despite huge deposits of natural gas -- it possesses the world's fourth-largest reserves -- Turkmenistan is one of the poorest of the ex-Soviet states. Poverty is widespread, and the country has suffered from years of official neglect of public woes. 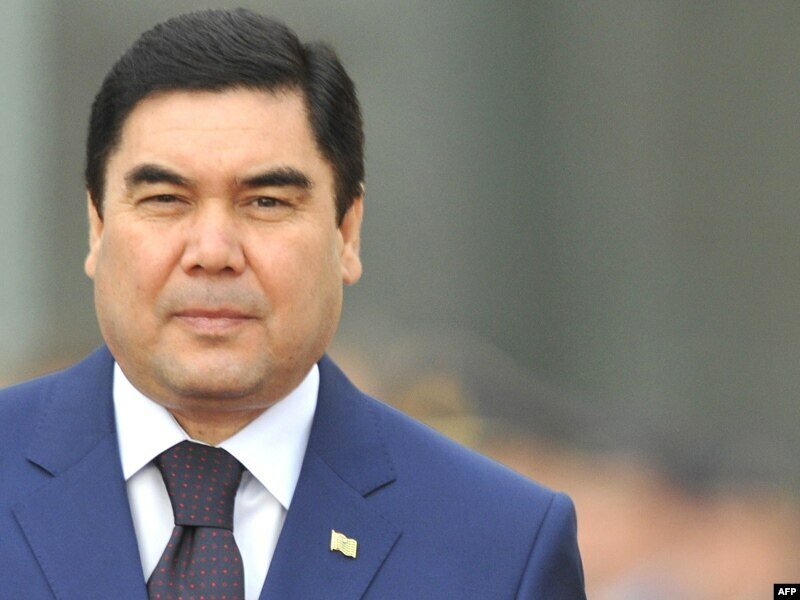 Since assuming power following Niyazov's death in late 2006, Berdymukhammedov has taken tentative steps toward reducing Turkmenistan's international isolation, promising to carry out economic and financial reforms, while also dismantling Niyazov's bizarre personality cult. The redenomination of the manat could be seen as one more step in that direction. In the redenominated currency, one new manat equals 5,000 old ones. Niyazov's portrait has been replaced on all but one banknote with historical figures, including poets, philosophers, and monarchs. Long queues outside currency exchange offices and the recent surge of the currency black market show that the denomination process is going badly. A lack of openness in society is making it go badly. Niyazov is still featured on the highest-value banknote, a 500-manat bill, which equals 2,500,000 old manats. 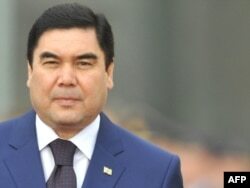 Turkmen will receive their next salary in new manats. However, old banknotes will remain in circulation alongside the new ones until the end of the year. Markets and shops have already introduced a dual pricing system. The government has ordered all banks to exchange people's old banknotes with new manats without any restrictions. The Turkmen government expects the redenomination will strengthen the manat and stabilize the currency exchange system in the country. Until last year, the currency exchange market was under strict government control. The government had fixed the official exchange rate for the Turkmen currency at around 5,200 manat per dollar. However, such exchange rates in Turkmen banks were not available for all. For ordinary Turkmen, the only option to obtain foreign currency was the black market, where the national currency was more realistically priced at around 24,000 manats per dollar. During the last year, the government introduced a so-called commercial rate, which helped to lower the massive difference between the black market and the official exchange rate. At the end of the year, the currency exchange rate on both the black market and at banks was about 14,000 manats per dollar. It is hoped that the new manat will eliminate the black market and create a single-system currency exchange rate. However, government critics doubt that the currency redenomination will have a beneficial impact on the Turkmen economy and the country's finances. Khudaiberdy Orazov, the former head of Turkmenistan's central bank and now an exiled Turkmen opposition leader, told RFE/RL's Turkmen Service that the currency change will only make people more anxious about the state of the economy and the value of their savings. "Long queues outside currency exchange offices and the recent surge of the currency black market show that the denomination process is going badly," Orazov said. "A lack of openness in society is making it go badly. People are not aware of what is going on and how things work at the government level. People are concerned because of their negative experiences in the past. So, such situations are not good for people." The currency redenomination has brought mixed reactions among ordinary Turkmen. Some people are concerned that the currency reform will add to uncertainties in markets and drive prices up. Shortly after redenomination plans were initially announced last year, many Turkmen rushed to black markets to exchange their manats for dollars and euros. However, some people are happy that at least the new currency will simplify pricing and accounting. Besides, with debit and credit cards barely used in Turkmenistan, it will spare them from having to carry hundred of thousands of manats in their wallets for a simple shopping trip. For instance, a bunch of flowers in an Ashgabat market used to cost up to 1,000,000 old manats. Now, that will be 200 new manats. Atageldi Garaev, an Ashgabat resident, said he hasn't noticed any differences in prices, yet. "People do not have many concerns about the denomination, unlike during the currency change in Niyazov's time [in 1993]," Garaev said. "Prices so far remain the same. Markets use two price tags, both the old manat value and the new one." Time will tell whether the redenomination is a serious step toward financial reform or -- as some suspect -- the mere replacement of old banknotes and coins to get rid of a former leader's tarnished image.